Chickahominy Falls Featured on RichmondBizSense.com! 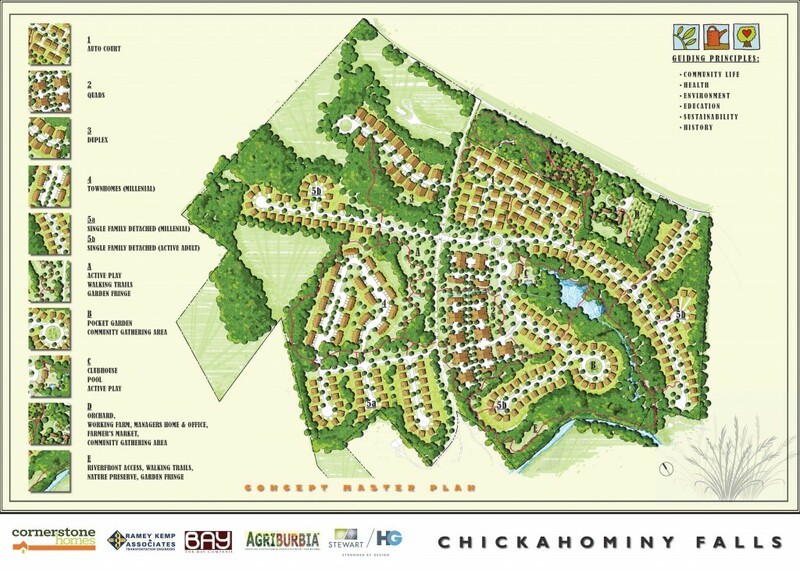 Our own Roger Glover has unveiled more details for our new project, Chickahominy Falls, which would put as many as 400 homes on approximately 180 acres along both sides of Holly Hill Road just south of its intersection with Cedar Lane. We put our focus on developments that cater to the 55-and-up homebuyer – those looking to downsize but who remain active in the community. While Chickahominy Falls is targeted to that age group, it also includes sections that are aimed at millennials and young families. Glover said the goal is to create an interconnected community of various housing types and residents that are brought together by shared amenities, such as organic farming, community gardening and even a canning operation on the grounds of an existing century-old house – the former homestead of the family of Frank Hargrove Sr., a former longtime member of the Virginia House of Delegates. “I’ve done a lot of age-targeted, age-restricted communities, and one thing that has always been a concern is that they may eventually become a little more age-isolated,” Glover said. “I like this idea of providing everybody their area but providing some connectivity.” Read the full article here!